Feed, fencing and fertilizer questions answered by experienced professionals. Come down to the store and talk story with the Miranda Country Store Team. Find us easily on your phone, tablet or any internet-connected device. We’re right here in Hilo and the MCS Team are all waiting to answer your questions. Ask Us a Question, We’re Here to Help! Quality animal feed and care products. We listen to our customer needs and pick the finest quality feed available. We carry products for anyone with an animal, from the backyard farmer to large ranches in Hawaii. Our Animal Feed and Care Products Include; Animal feed, Animal and pet grooming supplies, Feed supplements Pharmaceuticals, Accessories for doctoring animals, Bird feed, Equine tack, Saddles, Lasso ropes and more. We know our customers have a lot of various project requirements for fencing. 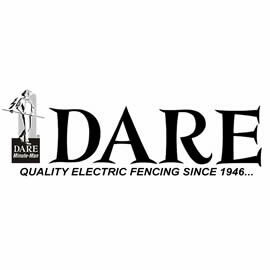 From large ranches and farms to backyard projects, ask us about our in-stock and custom fencing products which include; ranch fencing, chain link fencing and accessories, residential fencing, hog wire and field fencing, metal and wood post, pipe and tubing, fabrication of gates and corrals, class 3 galvanized and aluminized fence materials and much more. Fertilizers and Herbicides for large and small farms in Hawaii are available at your local feed, fence and fertilizer supply. We’ve got you covered! Our fertilizers have specific blends that are unique for the island’s unique soil composition. We’ve been serving Hawaii for over 20 years. Ask our experienced team about your fertilizing needs. Our products include the highest quality. Ask us about our plant and field fertilizers as well as the best brands of herbicides on Hawaii Island.